Complete octave; intervals TTSTTTS; F sharp major. 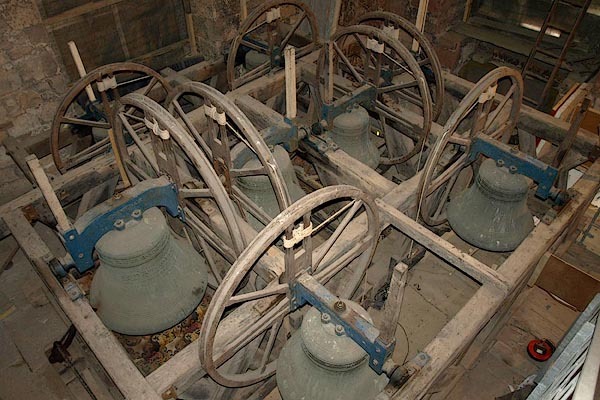 Bells cast by John Taylor and Co, 1958.
notes A letter to Pack and Chapman, London, 31 January 1775, suggest that the bell frame should be made to accommodate 8 bells, allowing for 2 to be added later. 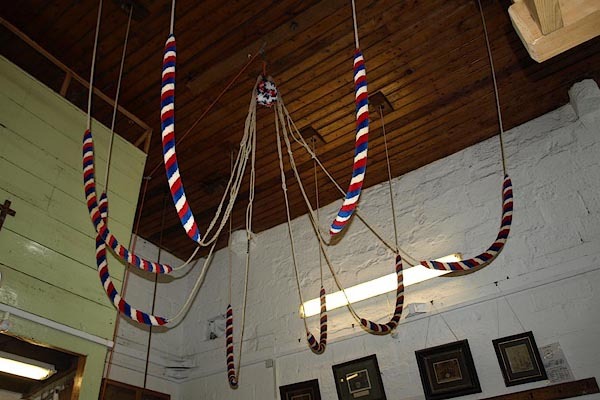 The 6 bells were taken to Workington by sea, arriving 19 September 1775. The tenor was recast in 1810; two bells were added in 1904; the whole ring was recast by John Taylor and Co, with inscriptions preserved, 1956.